I didn’t bake a cake. Like the ones they bought when the couple dated. I just didn’t bake a cake. I’d be a hero, alive or not. But I just declined to bake a cake. The death threats are more than we can take. We’re losing everything; we hide in fear. You’d thought I was an abuser! Of drugs…or women and children. All because I didn’t bake a cake. Do I really have to say? 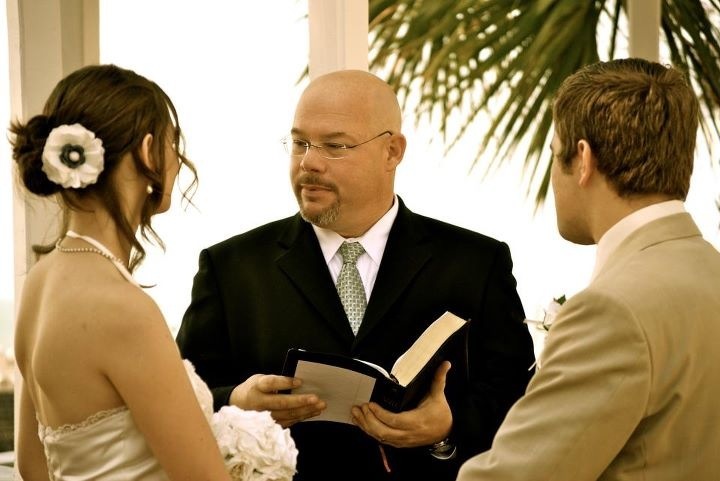 I mean, come on, I am a preacher, a pastor, a man of the cloth…I am supposed to be all about weddings, right? Right? If nothing else, it’s a good way to make a quick buck, right? Right? Don’t misunderstand, I love what weddings are all about. I believe in weddings. As a matter of fact, God loves weddings so much He uses them to describe the ultimate coming together of the Body of believers (the Bride) and His Son, Jesus Christ (John 3:29). God hates divorce because, just as marriage symbolizes His love for us, divorce symbolizes unfaithfulness. He said, “I will never leave thee, nor forsake thee” (Hebrews 13:5). So, don’t get me wrong – I totally LOVE marriage. What I DON’T LOVE are all the practical realities of wedding ceremonies. The logistics. The non-logistics. You name it. Here, let me just provide you with a simple, ten-point list of things that irritate me, then you might better understand why I “_____” weddings. 4,937 peasants could be fed for two months and 4 days for what one wedding cake can cost. No matter how much pre-marital counseling I do, I know everything I say is going in one ear and out the other. There are always people who “have reason why these two should not be married,” but they are too cowardly to stand up and say something. Family members are just as likely to kill each other over the color of mints as the number of ruffles on a wedding gown. Wedding cake tastes like lard. Everybody always gets new clothes – except the preacher. Brides-to-be and their mothers are pickier than Eric Clapton on speed (Old Age Alert: Eric Clapton is an actual musician who plays a real guitar, not one attached to a game console). Shotguns are not allowed anymore. If I mess up the vows, then I am responsible for ruining the lives of females who never forgive. Is “like” the best word? It’s not what best describes my feelings, but I guess it will have to do. But may I suggest a few things that would help me “love” weddings more? Grilled steak instead of cake (Dr. Atkins would be proud). No dancing. Period. None. People that don’t know how to dance should just sit in a chair and eat steak. Bags of money, instead of rice or bubble makers (Cleaning up would be much easier). A simple promise that the bride and groom will take their vows as seriously as their choice of cake toppers. Seriously, if you are getting married, God bless you! May your union be filled not only with love, but also the commitment it takes to show that love to each other throughout the years to come. And if at all possible, I prefer my steak a nice, pink medium. I do.